Happy Holidays from Valor Janitorial! 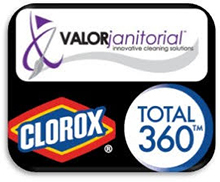 Valor Janitorial would like to say thank you to our clients and customers. It's been an honor and a pleasure working with you this year and serving as your Janitorial Service provider in DFW. Winter came a little early this year with some messy and unpredictable weather, please let us know if you need additional holiday support. We sincerely wish that you and your family have a warm and wonderful holiday season and a very happy new year and a happy and prosperous year in 2014!